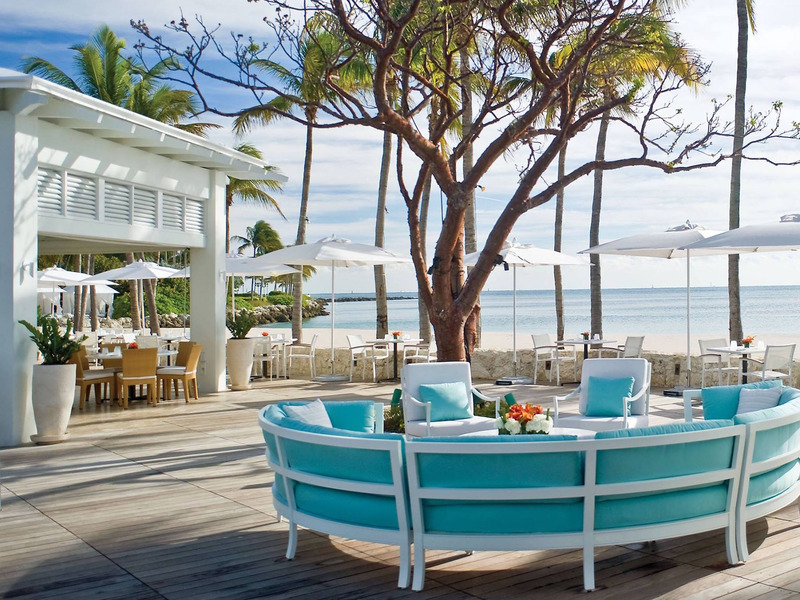 Fisher Island, Florida, is a paragon of exclusivity. The 87ha, man-made island sitting pretty off the coast of Miami Beach is reachable only by boat – most often yacht. It’s considered America’s most millionaire-dense ZIP code, but less than 20% of the island’s residents permanently reside there. 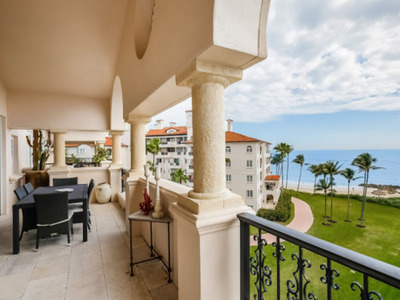 With its mix of condos, private homes, and hotel rooms, the lush island exists as a retreat for the ultra wealthy, who spend their days golfing, playing tennis, lounging on the beach, boating, and simply relaxing. The illustrious Vanderbilt family were the original stewards of Fisher Island, and their penchant for opulence remains. 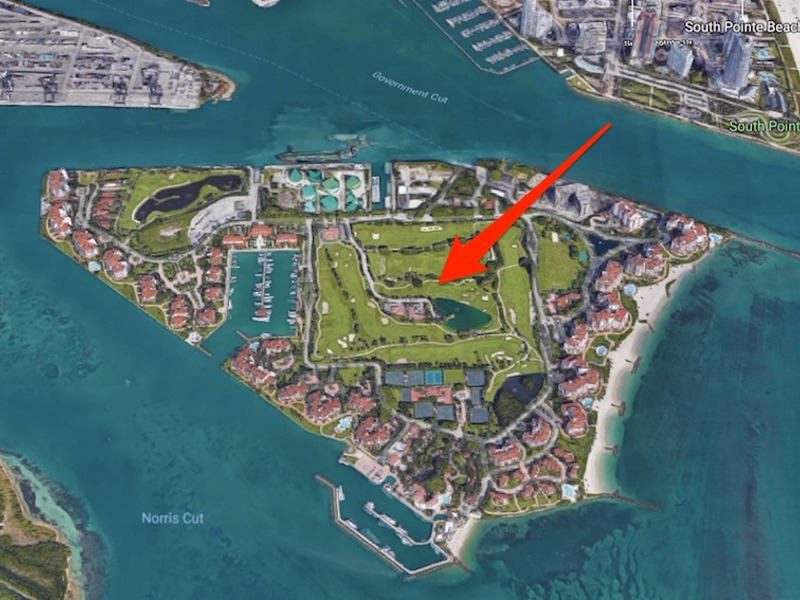 Below, find out how Fisher Island became one of America’s most affluent enclaves. Though Fisher Island is billed as a world-class travel destination, about 650 families live in private residences on the island. More than 80% of them are seasonal residents. The current median listing price of homes for sale is $US3.2 million, according to Zillow. Courtesy of Elena Bluntzer, ONE Sotheby’s International RealtyA 170 square-metre condo currently listed for $US2.79 million on Trulia. Fisher Island maintains more than 100 boat slips for yacht-owning residents. Yacht and 24/7 public ferry are the only way to access the island. Fisher Island has been rumoured to draw celebrities in search of privacy. 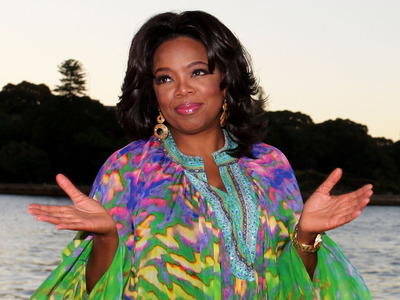 Oprah Winfrey owned a condo on Fisher Island for several years, but listed the property for just over $US2 million in 2008. 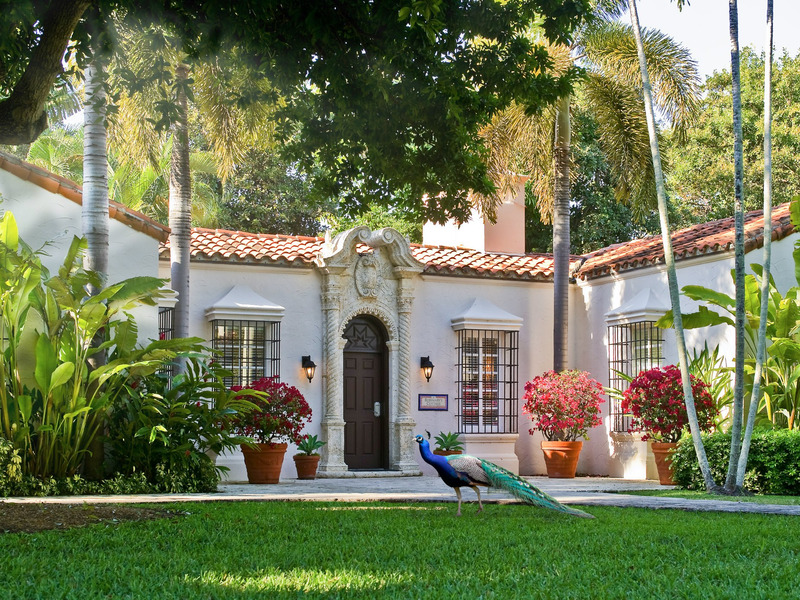 Other past residents reportedly include tennis legend Boris Becker and actor Mel Brooks. 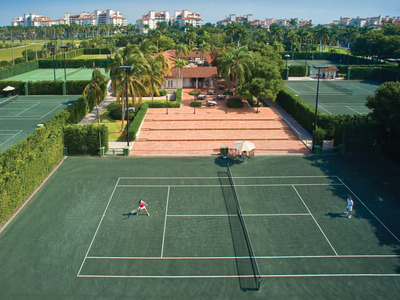 To use the island’s resort-style amenities, residents must pay membership dues, which includes an initial contribution of $US250,000 and an annual fee of $US20,330. Frequent visitors can become members for a one-time initiation fee of $US42,800 and an annual payment of $US27,306. Fisher Island Club & ResortThe Beach Club on Fisher Island. 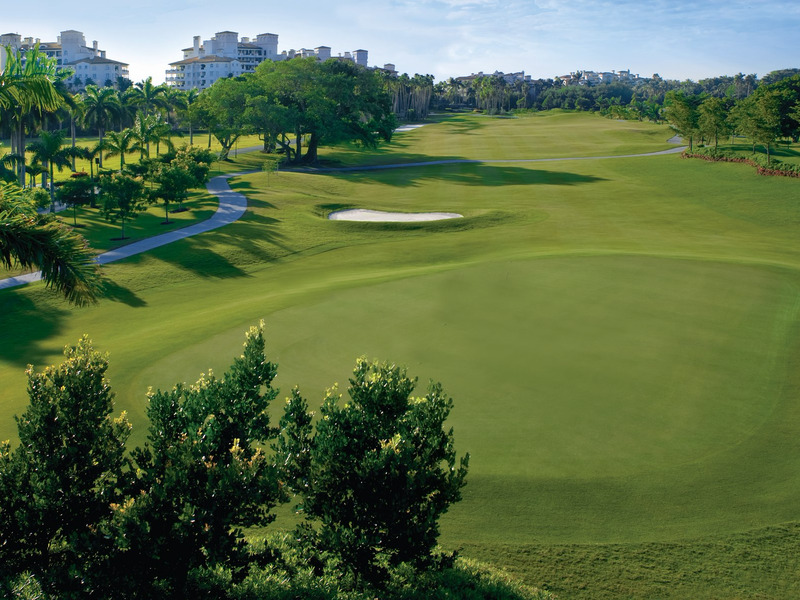 Access to the golf course costs an extra $US4,226 to $US4,975 a year for both guests and property owners. The small island, located off the southern coast of Miami Beach near Biscayne Bay, was originally created by the Florida government in 1906. It was briefly owned by Dana Dorsey, one of Florida’s first black billionaires, but he sold the land to Carl Fisher, an auto entrepreneur and real estate developer, in 1919. In the mid-1920s, Fisher met William K. Vanderbilt II, one of America’s wealthiest residents, and proposed a trade: seven acres of Fisher Island for Vanderbilt’s 250-foot yacht. Google Maps‘Alva Base,’ at the heart of the island. The railroad baron obliged and drew up plans for Fisher Island’s first residence, “Alva Base,” a Mediterranean-style compound with guest houses, tennis courts, and pools. Vanderbilt completed construction on his winter retreat in 1941 and spent a few years entertaining and hosting wealthy friends until his death in 1944. 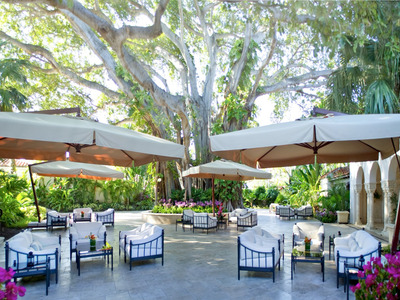 Fisher Island Club & Resort/FacebookThe now-restored courtyard at the Vanderbilt mansion. The Vanderbilt mansion and cottages remain the centrepiece of the island and are available for booking. The nightly rate for a guest cottage starts at $US1,375. “Rosemary’s Cottage” was originally built as an art studio for Vanderbilt’s stepdaughter. Now part of the island’s hotel, it rents for $US4,000 a night. 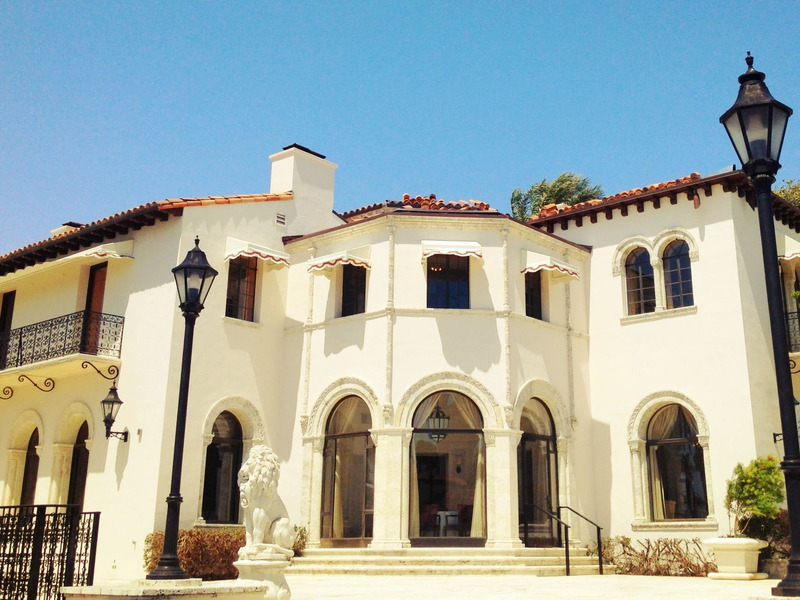 Fisher Island Club & Resort/FacebookRosemary’s Cottage in 2012, shortly after renovation. In 2014, Fisher Island Club completed a $US60 million revitalization project that included the addition of a new golf course, tennis courts, a spa and salon, restaurants, a beach club and marina, and a hotel.